The need for comprehensive cleft care in Ethiopia is great. 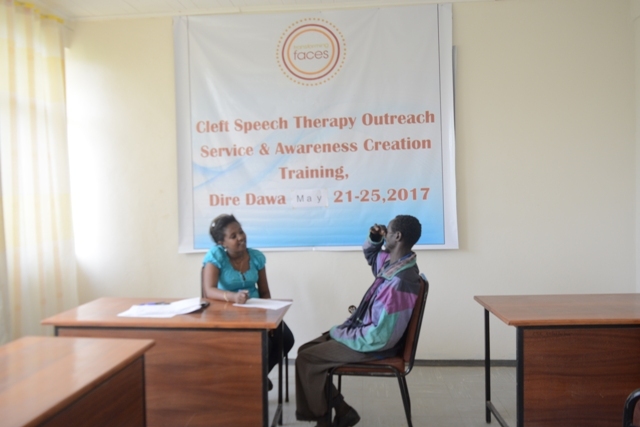 – TF partner Bezuwork conducting a speech therapy session. Our partner, Yekatit 12 Hospital, is the only comprehensive cleft care centre serving a country of 100 million people. This means that many families travel great distances to reach our partner (located in the capital, Addis Ababa) and access essential services like surgery, speech therapy, hearing assessments and psycho-social support. But our team in Ethiopia is working to ensure families in remote areas can also benefit from the expertise of cleft care professionals. 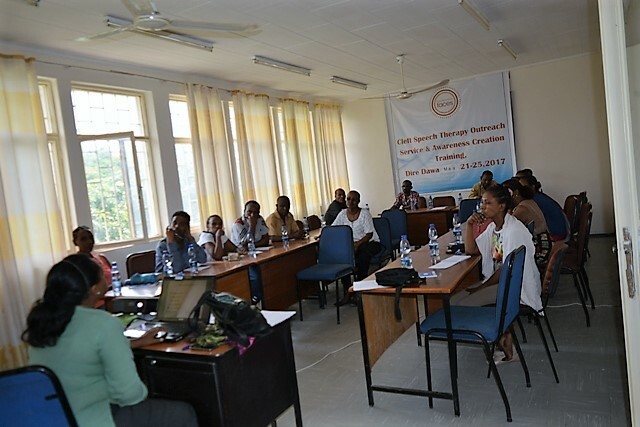 Yekatit 12 is running outreach camps for patients, teachers and health professionals in the city of Dire Dawa. Located near the Somali border (about 450km from the capital), the city’s population of over 600,000 has a tremendous need for the outreach camps. – Our partner hosted training workshops for local teachers. The camps include patient assessments and speech therapy sessions, giving children and families the valuable chance to meet with our team of professionals and improve their communication. But our partner also used this opportunity to provide training sessions to key allies in the community, including nurses, midwives, and school teachers. These training sessions help improve awareness and understanding about how to identify cleft lip and palate, support new parents and offer the best care for patients in the region. It’s evident just how essential these outreach camps are. Our partner found that the majority of teachers (81%) did not have any awareness about cleft or cleft-related psycho-social issues prior to the training. Even more surprising, they also found that the majority of local health workers (65%) did not have any awareness about cleft-related health problems. “We are grateful to TF for providing this excellent opportunity to bring the service[s] to the patients,” the team at Yekatit 12 Hospital tells us after wrapping up the four-day session. The outreach camps gave our partners a chance to support cleft patients, but also to improve local allies’ abilities to support for children and parents. Thanks to Yekatit 12, teachers and health workers are better set up for success in providing vital information, early counselling, care for newborns, feeding support and referrals for families in Ethiopia. – A few of the patients and their families who attended the speech camps.